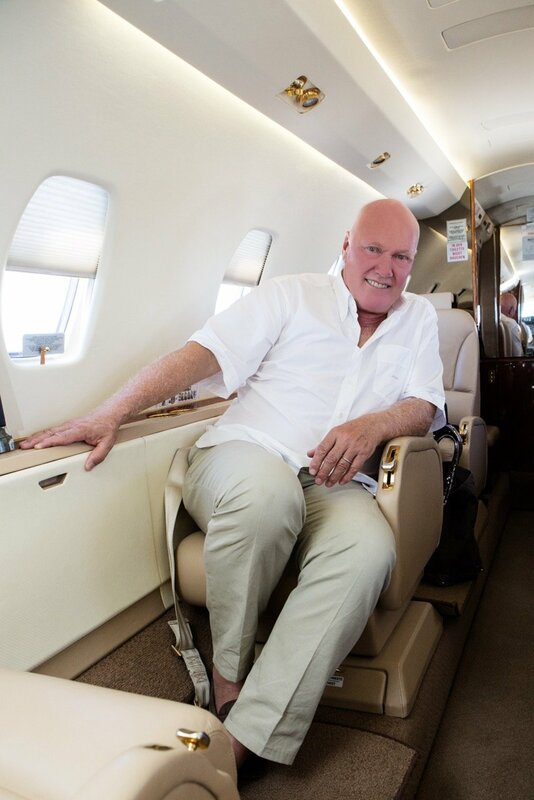 On his way to Ibiza for the official announcement of Martin Garrix as new TAG Heuer brand ambassador, Mr. Jean-Claude Biver, President of the LVMH Watch Division, CEO of TAG Heuer and Hublot Chairman, hosted us on his private jet for a great catch-up session. Listen-in through our video and enjoy the insights and humour of the Swiss watchmaking industry veteran. Biver reminded us that TAG should be avant-garde but safekeep its traditions. Its DNA is the same, it’s recognizable and strong. The brand’s recent strategy is to focus more on entry-price pieces, making them more accessible and very successful. The many years of experience TAG has gathered make Mr. Biver more confident, but he always has a hint of doubt: “As long as I have doubts, you can trust me,” he says. Expressing his happiness about TAG being an active brand, Mr. Biver expands on the brand’s four main platforms: sports -especially with motor-racing, art, music -with famous DJ David Guetta, and the newly announced Martin Garrix, and heritage. While Guetta is an icon reaching all generations, Garrix appeals more to the brand’s prime current target, the late teens to mid-20s. 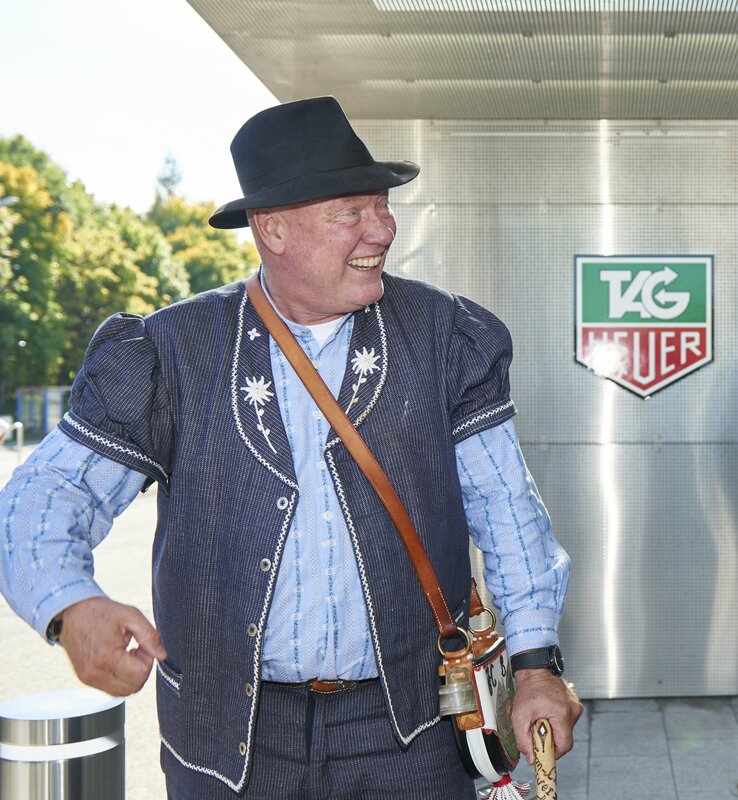 TAG Heuer’s motto “Don’t Crack Under Pressure“ is also the best advice Biver can give to the young generation. And of course, his famous Beatles’ quote: “All You Need Is Love” is another key to success. This quick trip to Ibiza with Mr. Biver had a very specific aim: announce Martin Garrix as new TAG Heuer brand ambassador! 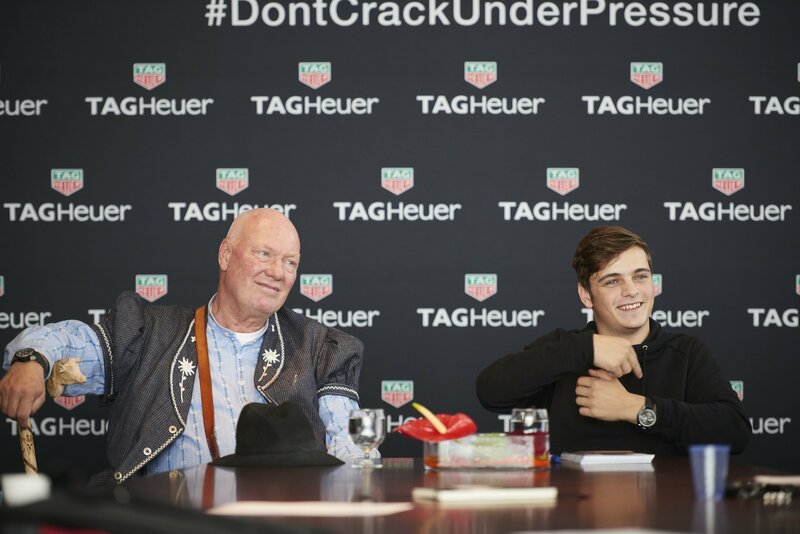 The 19 year-old, talented, unique and disruptive DJ “…perfectly embodies the #DontCrackUnderPressure philosophy of TAG Heuer and a generation who will curate the direction of the luxury market in the future,” as confirmed by Biver. a few weeks after the trip, Martin visited the TAG manufacture where he discovered the inner workings of watchmaking and hammered the watchmakers in the ‘ateliers’ with unusual yet interesting questions. 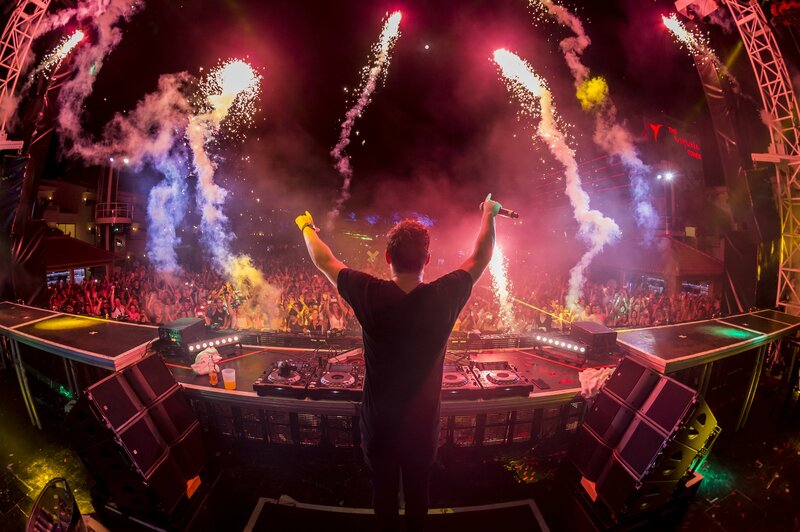 Ranked Number 4 in DJ Mag’s Top 100 list of the world’s hottest DJs, Garrix has already collected more chart-busting hits and high-profile collaborations than most DJs twice his age, and is also listed in Billboard’s prestigious “21 Under 21” and Forbes’ “30 Under 30”.